Colourful party bags based on the classic children’s book Dear Zoo. 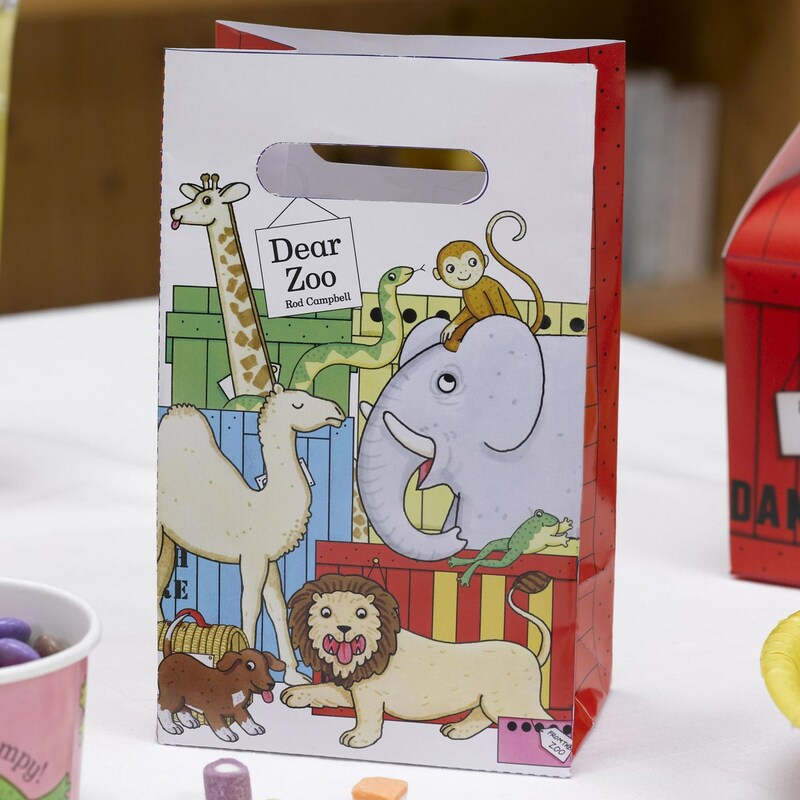 Part of a full range of party ware created with the involvement of Dear Zoo creator Rod Campbell, these delightful paper party bags feature favourite characters from the much-loved story and can be filled with a variety of goodies. A sure-fire way to create lots of excitement amongst your party guests! Each pak contains 5 Party Bags.